Fast Car glass is a car glass service company that offers mobile repairing and replacement alternatives for damaged car glass at your convenient place, convenient time. Our company is operating in Manchester. The services we are offering are primarily for Manchester and the North West Fast Car Glass has, for a very long time, been a leader in the car glass repairing and replacement industry. Our services are of the highest quality. 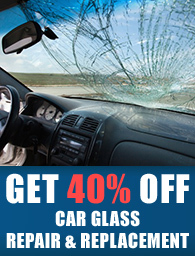 Our Manchester car glass repair services are the best you will find in Manchester. We replace Car glass of all sorts including but not limited to rear windscreen, front windscreen and side windows. Our Manchester windscreen repair services are the cheapest you’ll find in the market and the quality of the service is better than what is offered by most competitors. Come right in for a quick windscreen replacement job. Our highly experienced technicians hook you up with a new windscreen within a matter of minutes. Our skilled professionals also offer amazing rear windscreen repair services which will enable you to get your rear windscreen repaired to such an extent that even you won’t be able to spot the difference. The skilled technicians are working for Fast Car Glass hook you up with a brand new shiny rear windscreen if the damage to it is beyond repair. The prices we offer for this service are extremely modest. We also offer side window repair services. If you have a chipped off glass from your side window, worry not. Come to us right away and we’ll repair your side window. We also replace side windows that are beyond repair. Although our first priority is always to repair the side window, if the damage is too great, we offer our customers a replacement service at amazing rates. It is common for windscreens to get chipped off over a course of time. It is part of the natural wear and tear process. Come to Fast Car Glass with your damaged windscreen and we can fix it for you right away! The mission of our company is to provide a high quality service to our customers at the cheapest possible prices so that they keep coming back to Fast Car Glass. Our aim is to make customers who are so happy with our service that they always recommend Fast Car Glass to others. In order to achieve this, we go beyond our way to make our customers satisfied with our service. This is why most of our customers leave Fast Car Glass extremely happy with our service. Our service, along with being customer friendly is also very speedy. Our skilled professionals have years of experience of repairing and replacing car glass and therefore they hook you up with an amazing repair/replace job in no time.